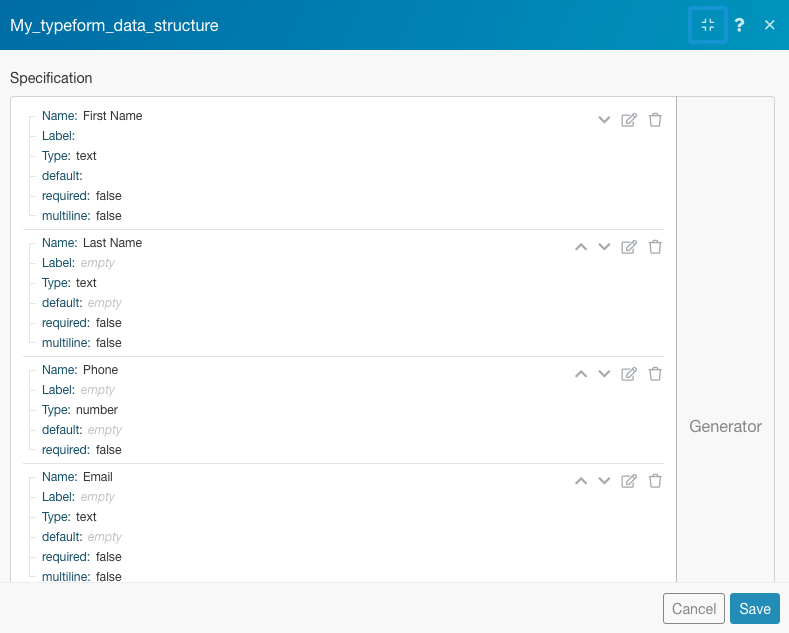 As you already know, Typeform calls itself the versatile data collection tool for professionals and I can’t agree more. 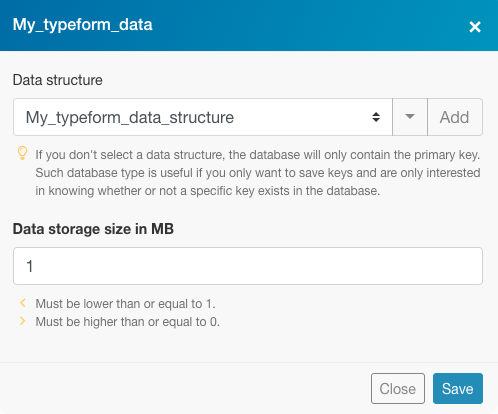 I love Typeform! But you know what makes Typeform better? 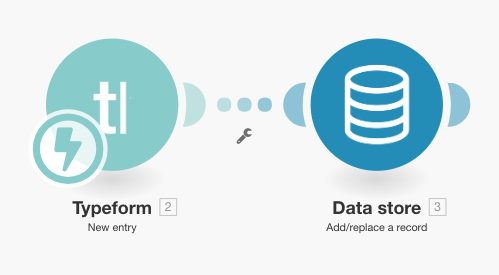 The fact that you can not only send the data to a third party service such as a Google Sheet but also store the same on Integromat’s Data Stores. 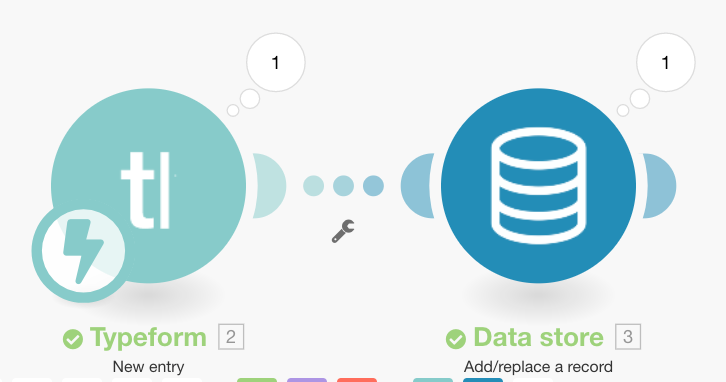 So what exactly is a data store? It is the equivalent of a table in a database and is as easy to set up as a Google Sheet (with more versatility). Read on to see how! The first is the Typeform module. Click the big question mark and search for Typeform to see the module. Once selected, you need to select the Trigger, which in this case is New Entry. 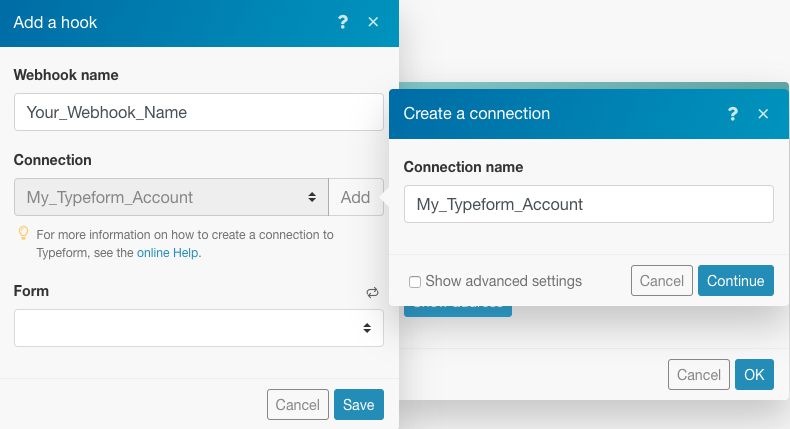 Next, you need to add a new webhook or select an existing one followed by connecting your Typeform account if it isn’t already connected. 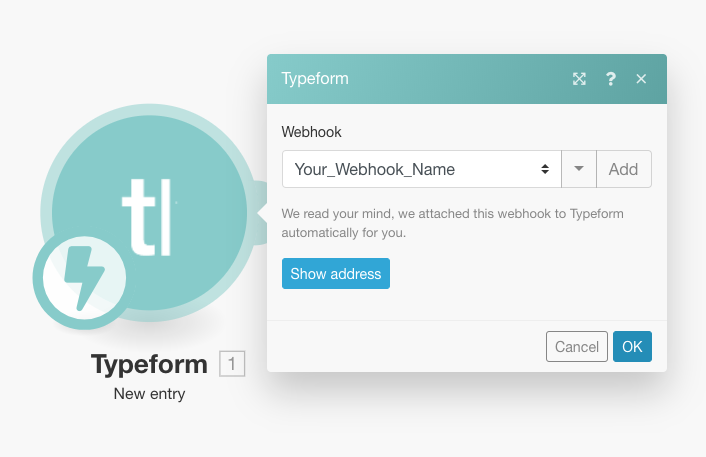 Here we will add a new webhook by clicking on the Add button and giving it a name and then connect the Typeform account. 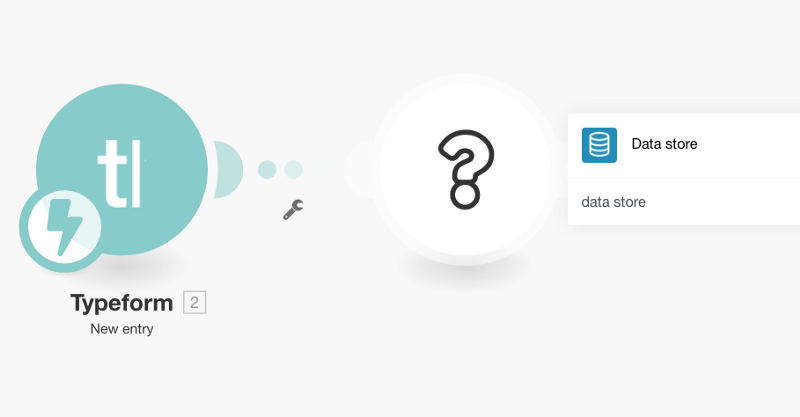 Name your webhook and connection and click on Continue. You will need to authenticate Integromat to access your Typeform account (which is 100% safe). The next step is to add an item to your data structure. An item is the equivalent of a column in a spreadsheet (or a field/attribute in a database) and contains the response to a question (or block) in your typeform. 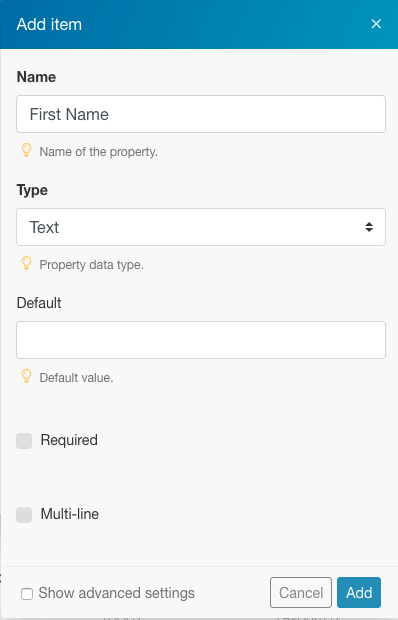 For each item, you need to specify a name and select a type from the dropdown. We have named this item First_Name and selected text as the type. You will see more options below which are self-explanatory. Click on Add to continue. Save the items list followed by Saving the data store. 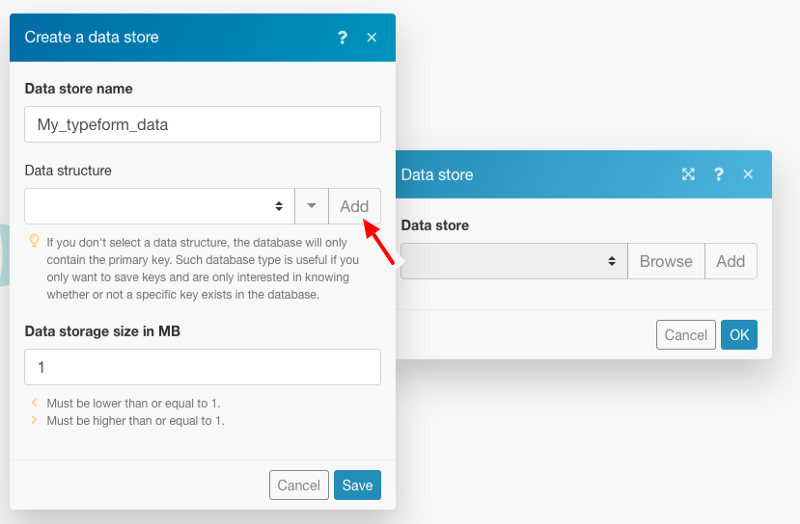 Please note that to edit the data store and modify the items, you will need to navigate to Data stores under More in the collapsible menu bar on the left. 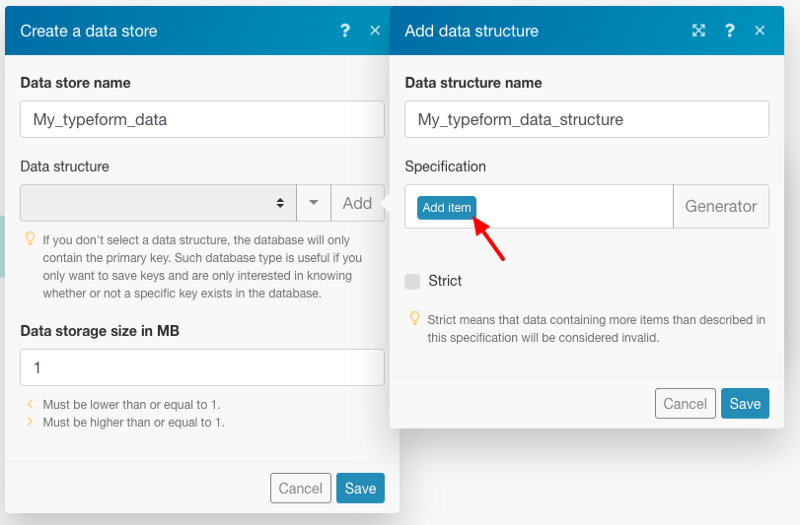 Once your data store is created, you will see a field named Key which can either be assigned the Typeform Entry ID (as shown below) or left blank. This is useful to retrieve a particular record containing the responses to an entry. If you leave it blank, a key is anyway generated. 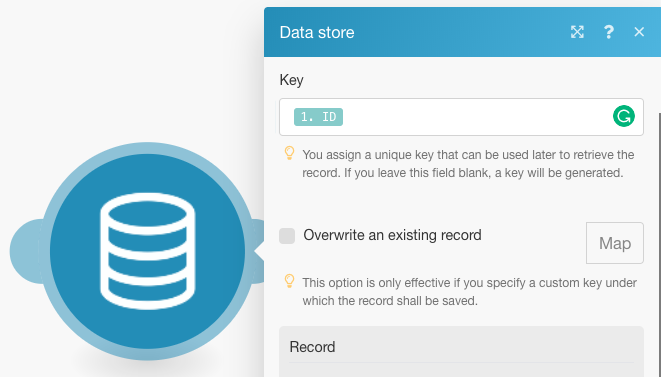 You can also overwrite an existing record by specifying the custom key for that particular record. We don’t need to do this since this is a new record and contains no existing data. 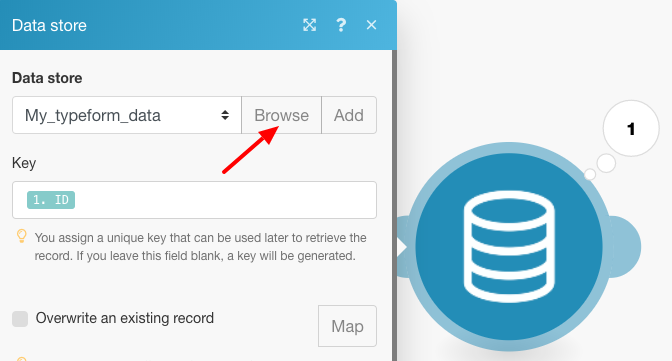 Now scroll down to Record to see the fields corresponding to all the items in your data store. 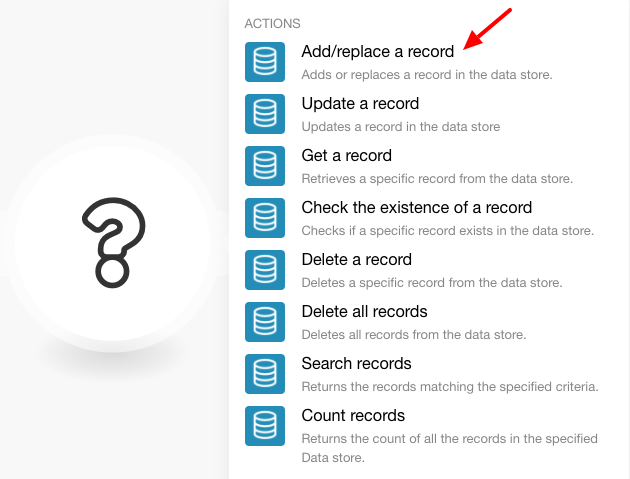 (A row in a data store is known as a record). 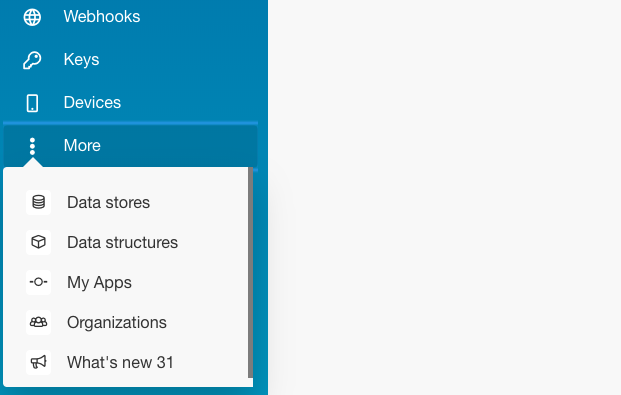 Here, click on each field and choose the attribute (from the ones fetched from your typeform) that you would like to map with the item in your data store. 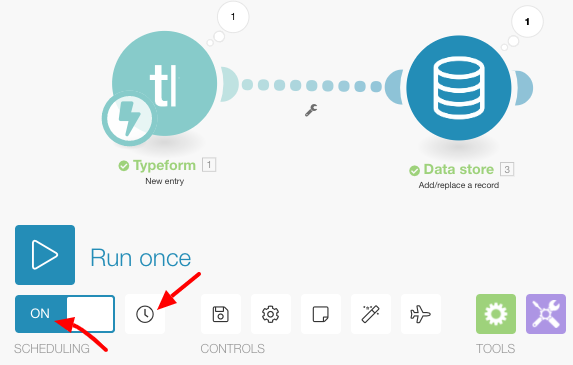 Now hit OK, run your scenario once, submit your typeform and see the scenario execute beautifully and create a new record in your data store! That’s it! 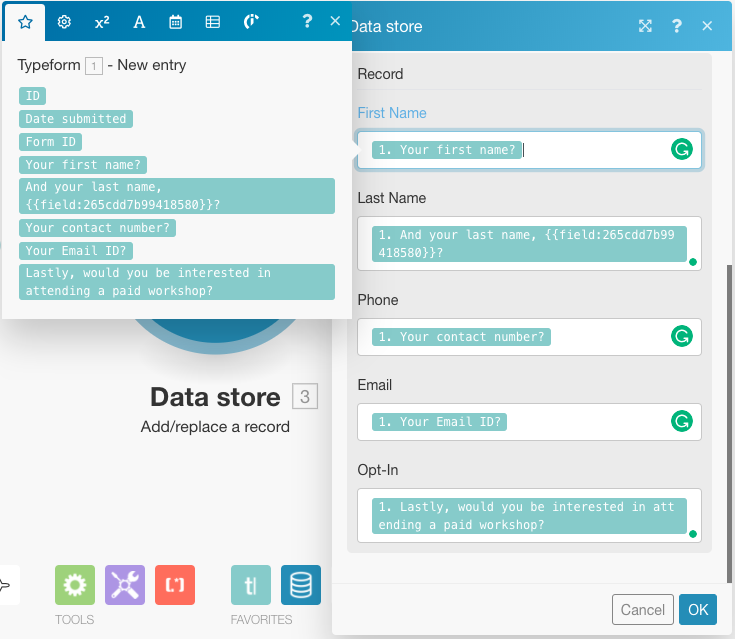 You can now send the data from your Data store to Google Sheets, a CRM like InfusionSoft or any other application by adding another module. Let us know which application you wish to see added as the next module and we will write the next tutorial for just that!